It is a blog about my mood, what makes me reacting and what I feel interesting to share. To the English native speakers: please forgive my typos and syntax. 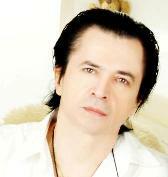 Do not hesitate to let me a comment. I will love to hear about you. Just below this welcome note, you will find daily news about Taiwan. 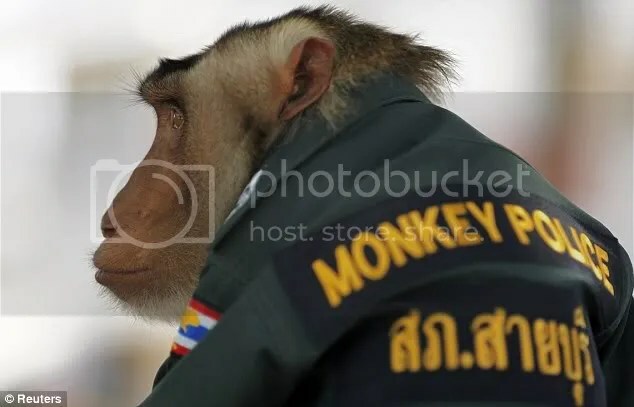 Police: New Positions Are Available! 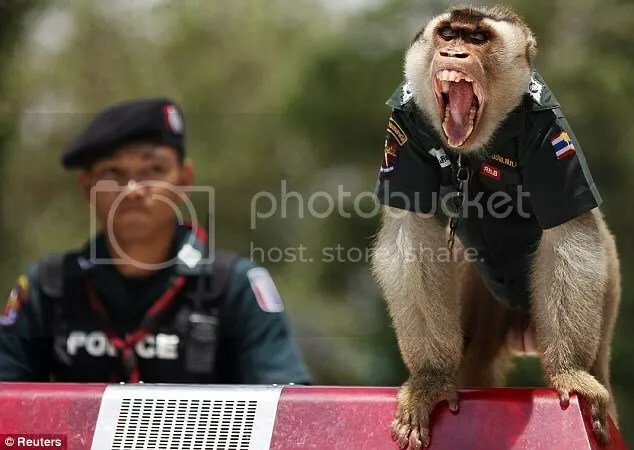 When it comes to maintaining law and order, this is one police officer who can sort the men out from the… er, monkeys. 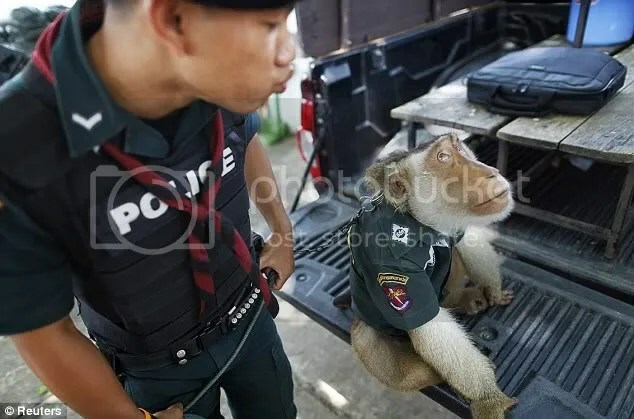 Dressed in a police shirt and riding atop a patrol vehicle in southern Thailand, this pig-tailed macaque has been recruited by police in their mission to improve relations with the community. 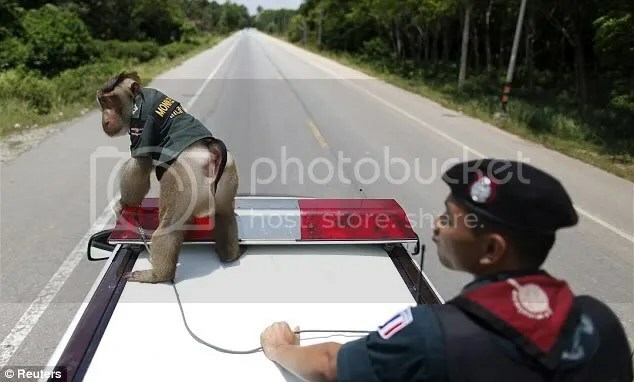 Is it a new trend?